(Clockwise from left) Senator Elizabeth Warren, Tim Cook of Apple, Sundar Pichai of Google, Jeff Bezos of Amazon, and Mark Zuckerberg of Facebook. 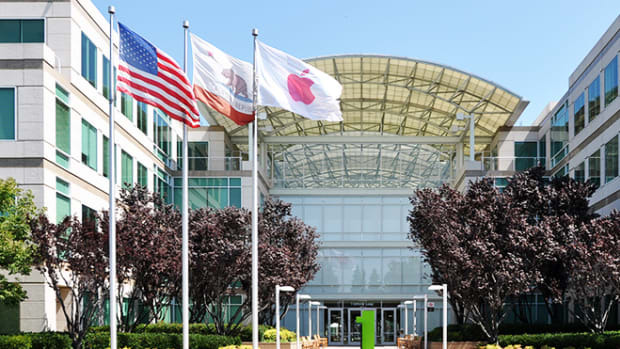 During Apple&apos;s "It&apos;s Show Time" event in Cupertino, California, on Monday, the company announced that it was entering the credit card business. Beneath a glowing black screen, Jennifer Bailey, the vice president of Apple Pay, explained that the Apple Card—a partnership with Goldman Sachs Group Inc. that will be linked directly to Apple&apos;s Wallet app—had been engineered with users&apos; privacy concerns in mind. The note about privacy seemed specifically designed to allay consumer fears about the ways in which big technology companies handle and commodify users&apos; personal information, particularly in light of recent highly publicized missteps and amid renewed global demands for the biggest tech companies to make their data collection policies more transparent. Those concerns, in turn, have sparked a reinvigorated debate about antitrust enforcement in America. Some within and without the political sphere are suddenly calling for tech giants like Apple, Facebook, Amazon, and Google to be brought to heel. The four companies all have annual global revenue that exceeds $25 billion, clearing a benchmark outlined by Democratic presidential hopeful Elizabeth Warren in a March 8th Medium post as the suggested threshold for designating such companies "platform utilities" subject to antitrust enforcement. "Today&apos;s big tech companies have too much power—too much power over our economy, our society, and our democracy," Warren wrote. "They&apos;ve bulldozed competition, used our private information for profit, and tilted the playing field against everyone else. And in the process, they have hurt small businesses and stifled innovation." Although the Medium post only named Amazon, Google, and Facebook as targets, Warren added in a subsequent interview with The Verge that, as president, she would also advocate for breaking up Apple, specifically by separating the platform from its app store. "It&apos;s got to be one or the other," Warren noted. "Either they run the platform or they play in the store. They don&apos;t get to do both at the same time." 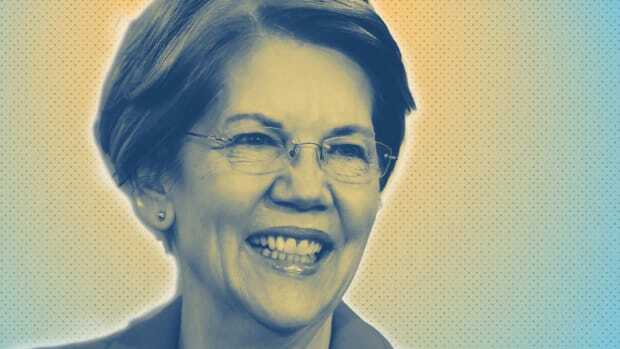 The approach being championed by Warren is two-pronged: First, she proposes utilizing federal regulatory agencies, including the Federal Trade Commission and the Department of Justice, to use existing antitrust tools to unwind anti-competitive mergers that have already taken place. Under the plan, Amazon would be disentangled from Whole Foods and Zappos, Facebook split apart from Instagram and WhatsApp, and Google severed from companies like Waze, Nest, and DoubleClick. Second, Warren is proposing the introduction of new legislation that would designate companies that exceed $25 billion or more in revenue and also offer an online marketplace as "platform utilities"—the upshot being that Amazon would have to relinquish its eponymous Marketplace, and Google would have to split from its ad exchange and Search divisions. The concept of a "platform utility" is partially derived from what&apos;s known as the essential facilities doctrine—a complex theory of antitrust enforcement once cited by courts in service of forcing railroad companies that develop bridges to share those bridges with competitors. 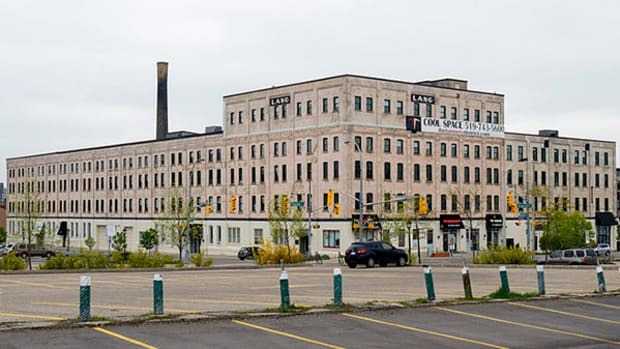 Warren&apos;s proposal advocates for codifying the doctrine as law, and would essentially require any business found to be in control of an &apos;essential facility&apos; to do business with competitors. The argument for Warren&apos;s plan, according to its proponents, is that those same companies, once heralded as great success stories in American innovation, have scaled to become monopolistic behemoths that threaten competitive markets. During Monday&apos;s event, Apple&apos;s push to diversify its market share amid a drop off in iPhone sales didn&apos;t end with the announcement of the new credit card: Among the other newly unveiled additions to the company&apos;s rapidly expanding suite of service products were a new entertainment streaming service, a subscription gaming service, and a subscription-based news service. According to a 2018 report from eMarketer, Amazon was set to clear $258.22 billion in United States retail sales, or nearly 50 percent of all online retail spending in the country. That same year, the Facebook-Google duopoly managed to scoop up 58 percent of the marketshare for all digital advertising revenue. By 2020, eMarketer forecasts Facebook and Google will account for over 20 and 35 percent of the total market share, respectively, and Amazon will capture 7 percent of all U.S. digital ad spending. Warren is no stranger to the antitrust conversation. Throughout her political career, she has been a stalwart advocate of big bank regulation, championing the 2010 Dodd-Frank Act, that cracked down on financial institutions in the shadow of the 2008 financial crisis. 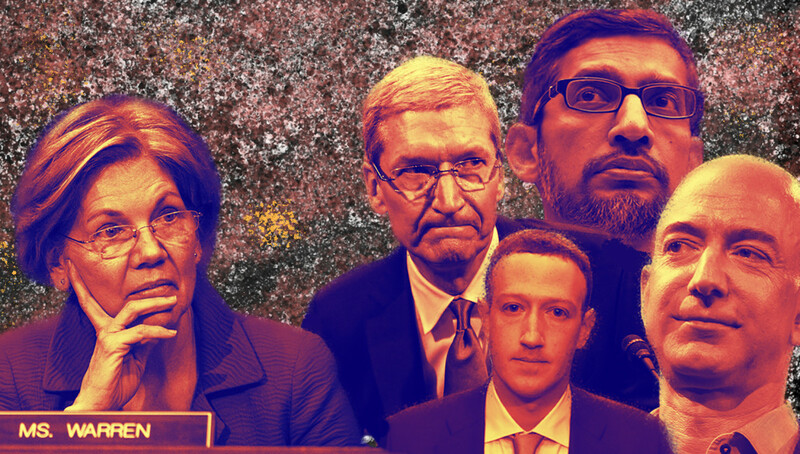 But when it comes to reigning in big tech in 2019, the political class might be staring down the barrel of an even more daunting challenge. Strong antitrust doctrine has a robust tradition in American history. After the Sherman Act was enacted in 1890, courts passed the Clayton and Federal Trade Commission acts in 1914 in the interest of dismantling abusive corporate mergers and unfair trade practices. The government has had some notable successes in wielding antitrust laws against technology companies in the past. In 1974, the Department of Justice brought a challenge against AT&T, then a government-supported monopoly, under the Sherman Antitrust Act, and in 1982 Judge Harold Greene ruled in favor of splitting the telecommunications giant into a long-distance company, leaving seven regional Bell Operating Companies (known as "Baby Bells") intact to control local phone networks in the U.S. But in recent generations, antitrust enforcement has been ossified by the rapid pace of development in the tech sector, says Shahid Buttar, the director of grassroots advocacy for the Electronic Frontier Foundation, a civil liberties non-profit. The fact that tech companies keep prices for consumers relatively low, if their services aren&apos;t free in the first place, has made antitrust actions difficult. "Big Tech has skirted antitrust scrutiny largely because the harms to consumer welfare have not taken the form of higher prices," Buttar says. 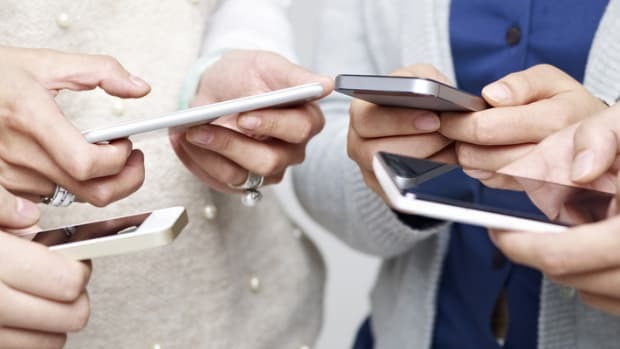 "In fact, many big tech companies obviously provide services nominally or free to people, so to evaluate their consumer harms on the basis of price simply doesn&apos;t make sense. It&apos;s an outmoded model that frankly never made sense in the first place, but it particularly makes no sense in tech." In an article published by EFF last month, Buttar and colleague Mitch Stolz write that modern antitrust enforcement in the U.S. has become "strangled in an outmoded economic doctrine that fails to recognize the realities of today&apos;s Internet." 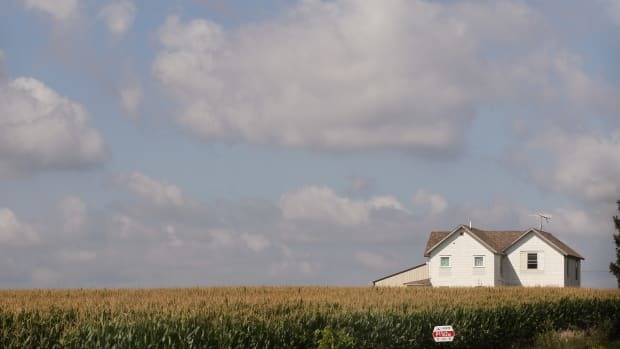 The problem, the post suggests, is that regulators focus too exclusively on price as the standard means of evaluating consumer abuses—a school of thought primarily influenced by neoclassical economist Milton Friedman and the Chicago School of Economics that he pioneered. Indeed, the financial barrier required to use tech platforms like Facebook and Google is virtually non-existent, in most cases. But if they&apos;re not paying in dollars, users will most likely find themselves paying for the services with their data, which is frequently harvested and sold to third-party advertisers. Buttar and Stolz call for a revitalization of the essential fairness doctrine as an antitrust tool, a policy point also found in Warren&apos;s plan. Even if such a doctrine were invoked, however, experts suggest users might not jump on the antitrust bandwagon as willingly as politicians like Warren are anticipating. "There are a lot of people that derive enormous satisfaction from using the companies that she is scolding," says William Kovacic, a global competition professor of law and policy at George Washington University and a co-editor of the Journal of Antitrust Enforcement. "They look at Amazon and say, &apos;Amazon&apos;s a source of great deals for me.&apos; There are lots of Americans who see these companies as positive features of our economy, not liabilities." Even among tech experts who support Warren&apos;s plan for increased antitrust enforcement, there are concerns that it does not go far enough in safeguarding against cybersecurity threats. In a March 17th op-ed for the Boston Globe, Brianna Wu—a software engineer and 2020 candidate for representative of Massachusetts&apos; 8th district—wrote that, while she felt invigorated by Warren&apos;s calls for a more robust and long-overdue conversation about antitrust in technology, she diverged from the senator&apos;s proposal in its prioritization of regulation of competition over cybersecurity and user privacy. Wu tells Pacific Standard that, under Warren&apos;s plan, "Apple would be forced to allow other people to put software on the iPhone. That opens the way to ransomware, spyware, malware, and other vectors. It would put every text message, every call you&apos;ve ever sent at risk of being hacked. I understand Warren&apos;s perspective, but I don&apos;t agree with it." Wu says that her concerns stem partly from the fact that she, along with other federal candidates, received a warning in 2018 not use products by the Chinese hardware manufacturer Huawei over concerns that the Chinese government was using apps to spy on the U.S. government. "It&apos;s a fact that the U.S. shipping infrastructure has been penetrated by foreign countries," Wu says. "Our power structure has been penetrated. We have to take these threats seriously, so to me national security comes first." 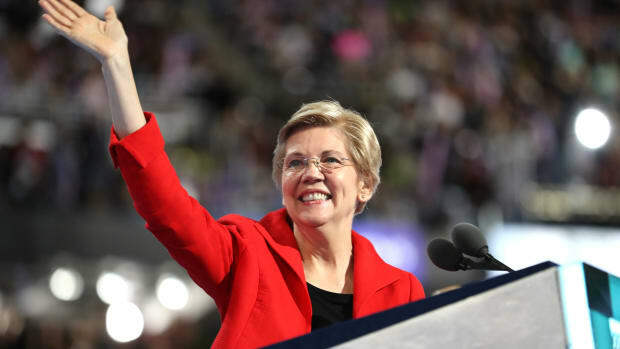 Like much of her campaign rhetoric, Warren&apos;s Medium post is sunny, direct, and reliant on the can-do pragmatism of the grassroots activism that has come to define her 2020 candidacy. But when it comes to building and maintaining the political coalitions that would be necessary to buoy a complex and multi-pronged antitrust effort like the one Warren is proposing, Kovacic is adamant that it will take more than elbow grease and sheer force of will to rein in the tech giants. Federal political coalitions, he notes, are fleeting—and with the big tech companies guaranteed to unleash hellfire on any regulators that would seek to minimize their market share, it seems uncertain that Warren could maintain the number of political allies she would require in order to bring that political reality to bear. "Just ask yourself, is the California delegation going to stand arm-in-arm with President Warren and say, &apos;Break them up&apos;?" Kovacic asks. "Will the Washington delegation? And these aren&apos;t just the Republicans, these are the Democrats. Are they going to abandon this tech sector that they have been so fond of and turn against it in a decisive way?" "None of this will be done overnight," he adds. "This is a multi-year sustained effort, and the question is, will the country have the political will to sustain that effort over time in light of the reaction—and the pressure—that will be brought to bear by the industry and some consumers?"